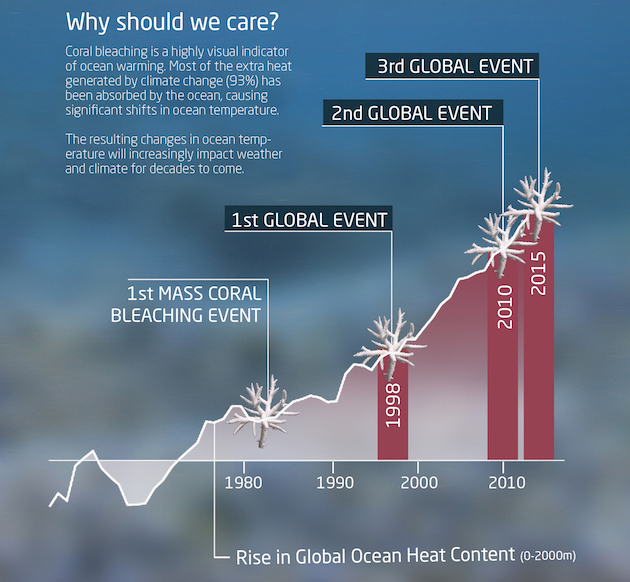 Warming water isn’t the only way climate change damages corals. About a quarter of the carbon dioxide emitted by burning fossil fuels ends up in the oceans, where it drives down pH levels. As a result, the oceans are currently 30 percent more acidicthan they were at the dawn of the Industrial Revolution in the late 1700s. Heightened acidity impedes the growth of any species in the oceans that develop hard surfaces—everything from oysters and crabs to, yes, corals. A recent Naturestudy found that coral reefs grew 7 percent faster under pre-Industrial Revolution pH conditions than they do now. Slower growth makes it harder to recover from recurring insults like bleaching, Eakin says. Since the 1970s, the Caribbean region has lost 80 percent of its corals and the Great Barrier Reef along the Australian coast has declined by half. Eakin says climate models suggest the Caribbean’s corals face the biggest threat going forward, and they portend a “fairly dire future” for reefs worldwide. If current greenhouse gas emissions hold, he says, by 2050 we could see global bleaching happen every year—in short, a seascape no longer capable of supporting its vital ecosystems, ones that are are richer in biodiversity than rainforests. 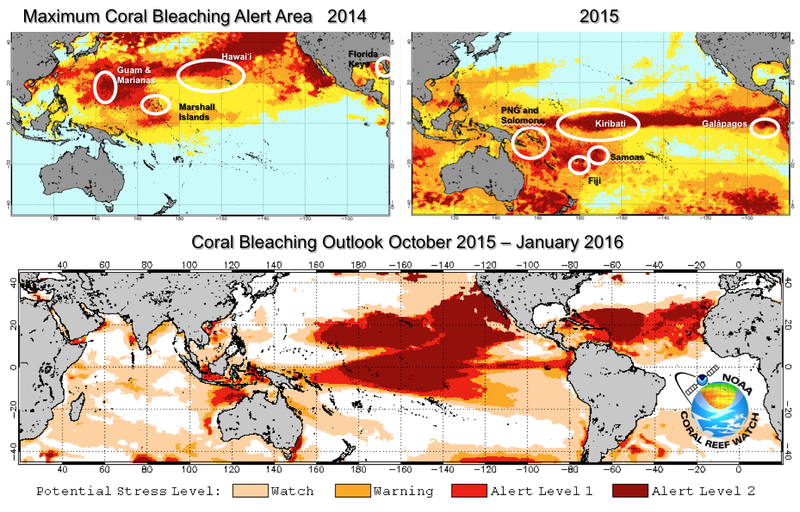 By caribbeanclimate in News on March 15, 2016 .